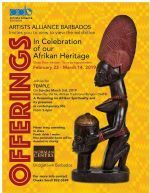 You are invited to Temple, part of The Artists Alliance Barbados' Pop-Up Exhibition entitled Offerings. The event is hosted by Nu African Traditional Religion. A reasoning in Afrikan spirituality and its presence in contemporary life. Please bring food and drink to share. Non perishable items will be donated to charity. 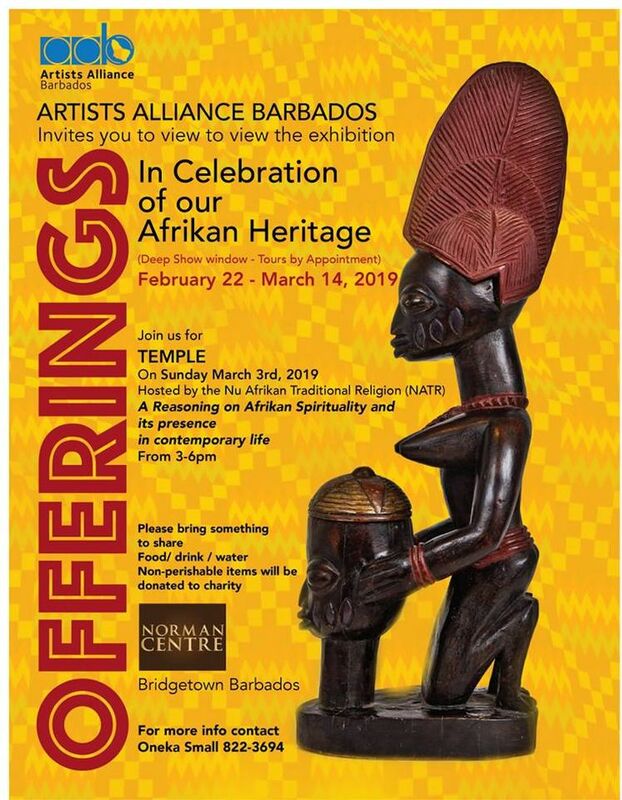 This exhibition is a Deep Window display housed at the Norman Centre Mall, Bridgetown. For more information please contact curator Oneka Small at 822-3694.